Fuel up on quality ingredients you can feel good about! 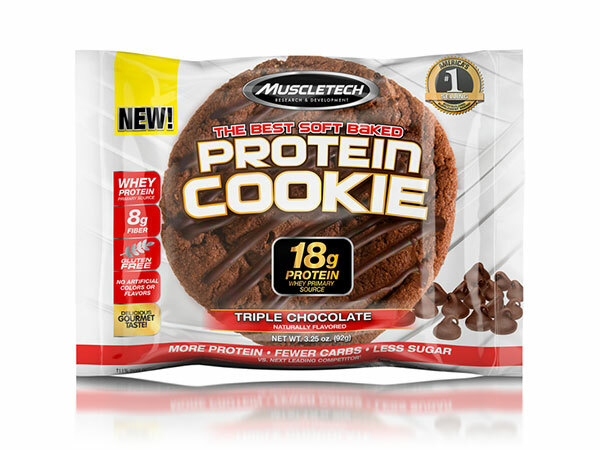 From the biggest name in protein comes a breakthrough cookie that’ll satisfy your muscles – and your taste buds. These delicious, gluten-free, protein-packed cookies are a quick, on-the-go treat for every fitness enthusiast. With 18g of protein and 8g of fibre, they’re a guilt-free indulgence you can feel good about! Our research team worked closely with some of the premier protein cookie experts in the world, and each flavour of MuscleTech® Protein Cookies has been painstakingly tested in internal taste tests. The result? An absolutely amazing-tasting cookie that delivers the protein and taste you’re after, with a chewy, soft baked texture and real chocolate chips that you can enjoy guilt free! Chocolate, chocolate and more chocolate! These rich, delicious, intensely chocolaty cookies are just the thing when you want a chocolate fix but don’t want to load up on calories and sugar! With off-the-charts peanut butter flavour and an irresistibly soft texture, the peanut butter lover in you will be sure to love this classic flavour, while the athlete in you will love the superior nutritional profile! A chocolate chip cookie so delicious Grandma would be proud! Just the thing for when you have a craving for a classic chocolate chip cookie but need that protein fix! 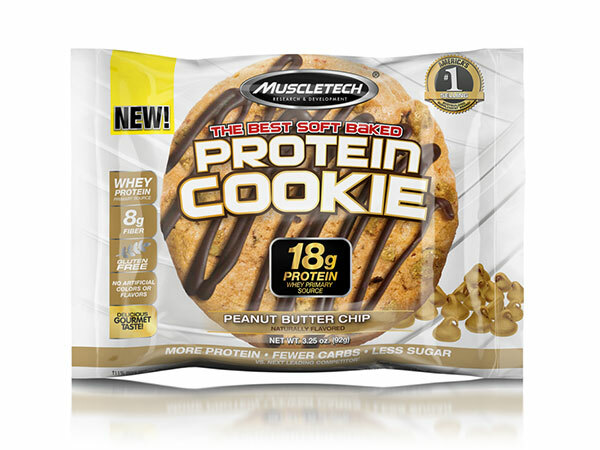 We know that serious athletes need the results that only high-quality, leucine-rich whey protein can deliver, and MuscleTech® Protein Cookies deliver 18g of protein, primarily from whey, for a cleaner macronutrient profile with 8g of fibre and half the sugar of the competition. Modern athletes know the importance of fibre – and MuscleTech® researchers put 8g of fibre into each cookie! This is the same amount of fibre as 1.6 cups of quinoa!